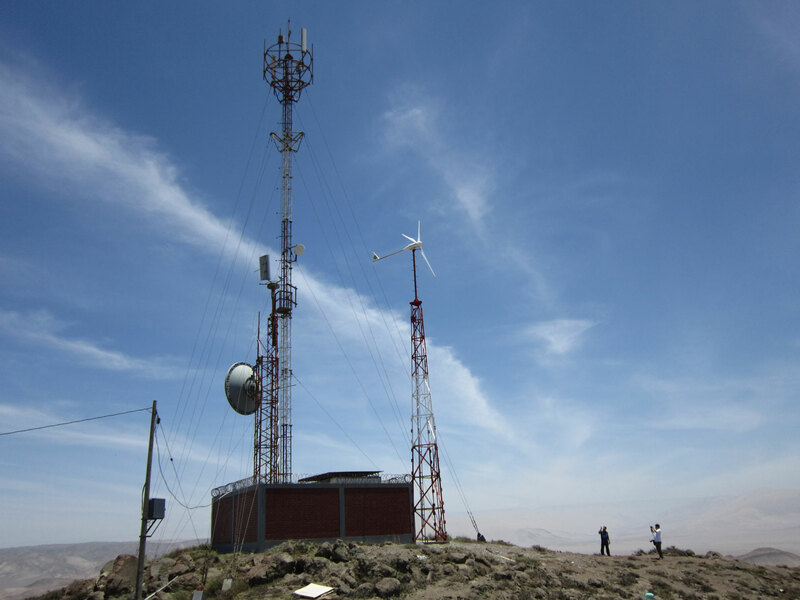 A mini-wind installation, consisting of a Bornay Wind Turbine 6000, to supply power for a system of mobile telephony in Peru. 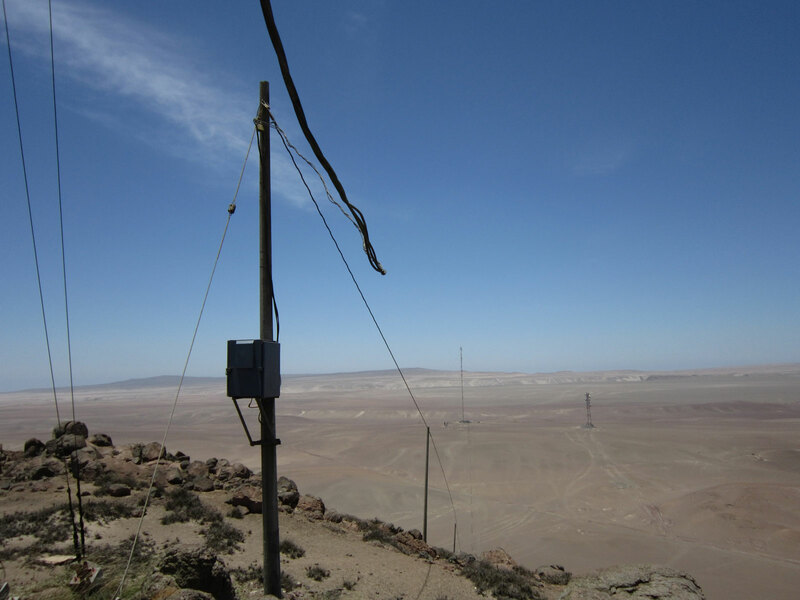 An installation consisting of a wind power system to supply energy for a mobile telephony system in Peru. 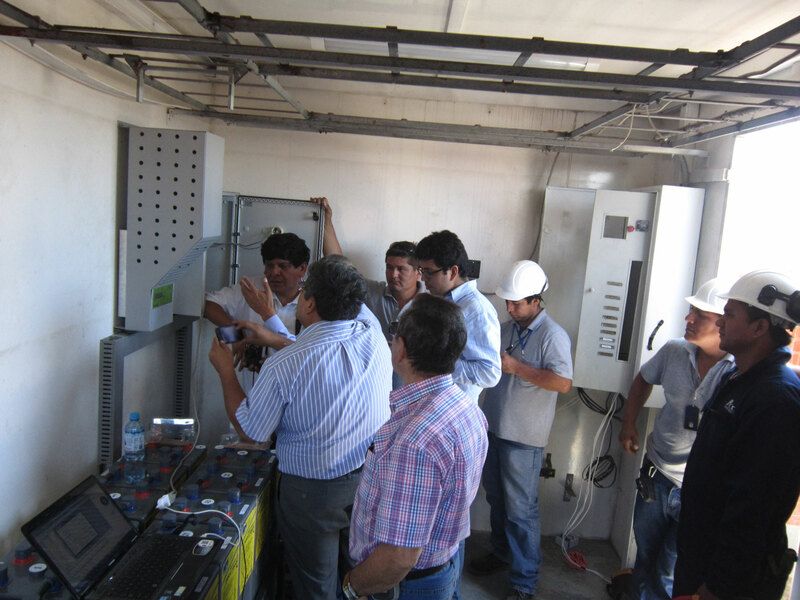 The system consists of a Bornay Wind Turbine 6000 with a charge controller and a bank of GEL OPzV 48v batteries. 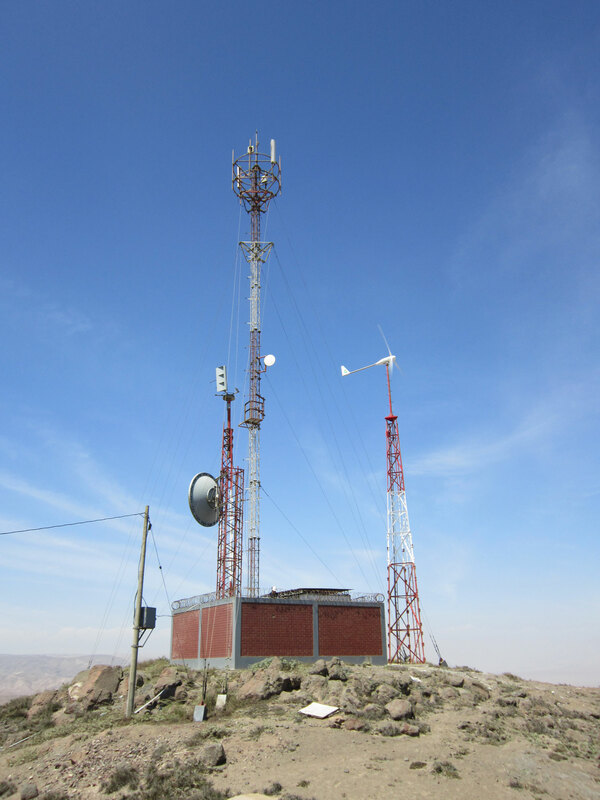 The wind turbine, with three-phase AC output, is connected to a regulator specific to Bornay wind turbines, with three-phase AC input and rectified DC output, suitable for charging batteries at 48 Vdc. 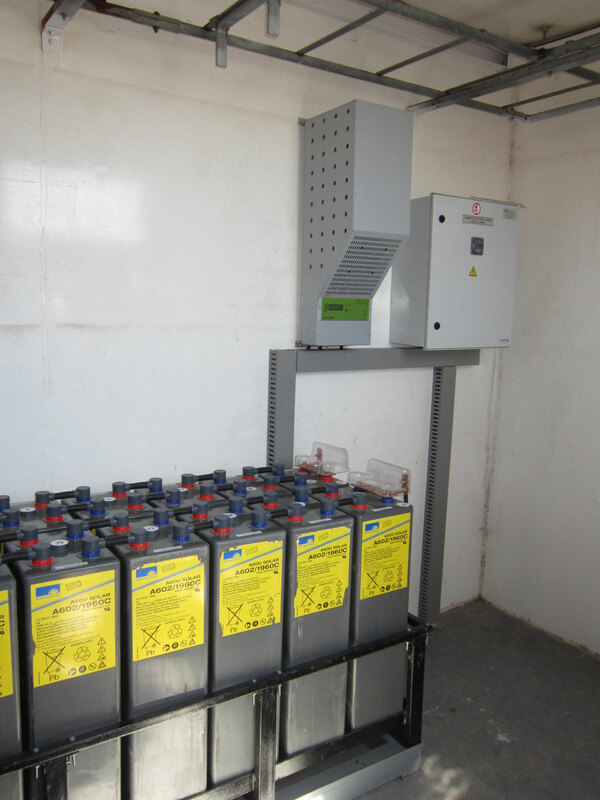 The system is connected to a bank of 48 Vdc stationary batteries. 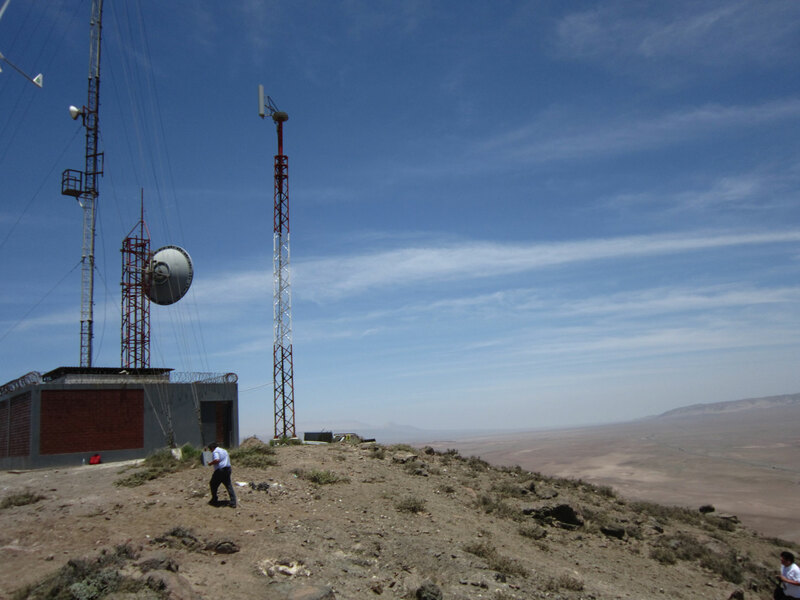 The battery bank powers the different telecommunications systems directly with 48v DC.